Tuoli, 35 km south of Beijing in "China Nuclear Town"
 “我院概况 [Summary of Our Institution],” China Institute of Atomic Energy, www.ciae.ac.cn. “Key Research Fields,” China Institute of Atomic Energy, www.ciae.ac.cn. John W. Lewis and Xue Litai, China Builds the Bomb (Stanford: Stanford University Press, 1988), pp. 98-100. Rodney Jones and Mark McDonough, Tracking Nuclear Nonproliferation (Washington, D.C., Carnegie, 1998), p. 66. Yan Kong, “China’s Nuclear Bureaucracy,” Jane’s Intelligence Review, 1 July 1993, p. 324. James Bodgener, “China’s New Industry,” Nuclear Engineering International, 28 July 2008, p. 22. Yanmei Xie, “China Pushes Forward with Fast Reactor Program,” Nucleonics Week, 28 July 2011, p. 1. 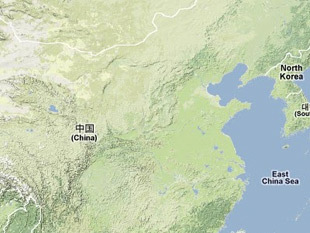 “Nuclear Power in China,” World Nuclear Association, www.world-nuclear.org.